Have you ever combined these two? High potency cannabis is a new phenomenon. Just a couple of decades ago, THC content was infinitesimal. The National Institute on Drug Abuse reports that samples sold illicitly in the 1990s featured about 3.7 percent THC. 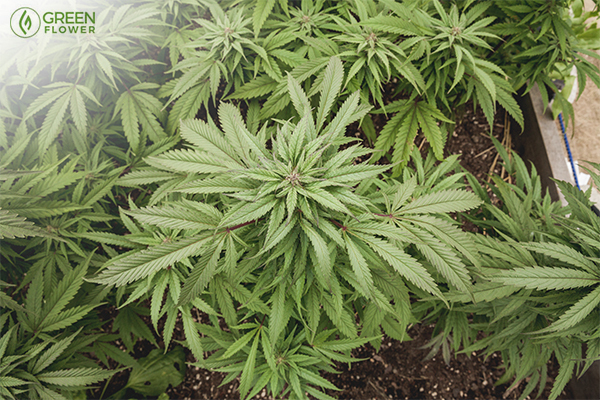 Now, modern hybrid strains have been selectively bred to produce large amounts of THC. Unfortunately, this means that many other cannabis compounds, like cannabidiol (CBD), have been phased out over time. In fact, an analysis of 600 cannabis samples reported in 2015 found that as percentages of THC increased over time, levels of CBD decreased. CBD is a therapeutic cannabinoid that does not cause the psychoactive “high” often associated with the herb. Cannabinoids are chemical compounds unique to the cannabis plant. These molecules, along with aromatic compounds called terpenes, are thought to have medicinal benefit. While the health benefits of CBD have been researched since the 1970s, a recent wave of media attention, research, and anecdotal accounts have piqued mainstream interest in the cannabinoid. For a lot of patients, one of the major challenges with cannabis is its mind-bending nature. CBD is often seen as a solution because the cannabinoid does not produce the euphoric qualities of THC. For many patients and medical professionals, this makes CBD a preferable candidate as a potential cannabis medicine. As a result, breeders are bringing back CBD. Hemp-derived CBD isolates are now sold online, providing residents in several different countries with access to at least this one cannabis compound. Though high-THC strains still dominate the cannabis scene, breeders have also developed new cultivars that contain over 20 percent CBD and under 1 percent THC. In a sense, with the growing emphasis on CBD isolates and ultra-high CBD strains, the pendulum has swung the other direction. These new high-CBD cultivars are, in many ways, the exact opposite of high-THC strains. But, is leaving out THC really a good idea? The current understanding of whole-plant medicine suggests that having some THC around may be a positive thing. Decades of ignoring CBD came with some consequences. Cannabis cultivars without any CBD are missing one of the powerful healing properties of the plant. CBD is currently under research for a host of different medical conditions. For example, the cannabinoid has demonstrated powerful antipsychotic properties in human trials of treatment-resistant schizophrenia. A clinical trial published in May of 2017 tested the effects of CBD in the debilitating epileptic condition, Dravet’s Syndrome. The trial found that CBD reduced seizures by 50 percent in 43 percent of subjects who were given the medication. In June of 2018, the FDA approved a CBD oral solution called Epidiolex, predominantly for seizure cases. CBD is also being considered as a treatment and prevention for head trauma, as well as in diabetes, pain, cancer, neurodegenerative disease, depression, anxiety, and addiction research. As a stand-alone molecule, CBD has an impressive resumé. The cannabinoid is especially promising in pediatric medicine, where CBD shows potential as a safe anti-epileptic drug without psychotropic effects. The ability to access CBD-only supplements and high-CBD strains is a major breakthrough for patients, wellness consumers, and cannabis industry professionals alike. However, with all the hype around CBD, it’s important not to forget about its close relative, THC. In fact, there is reason to believe that, for some conditions, CBD may be most beneficial when consumed with a little THC. A growing body of research suggests that cannabis compounds work with each other to produce synergistic health effects. This means that while the cannabinoids may be powerful on their own, mixing the two can produce different effects. Some of the therapeutic benefits of CBD may also be amplified by the presence of even a little THC. And as cannabis physician Dr. Jordan Tishler confirms, the benefits of CBD seem to wear off after a few months unless a little THC is added. In all, the sum of the two is greater than either part. Evidence shows cannabis compounds work better together, not separately. 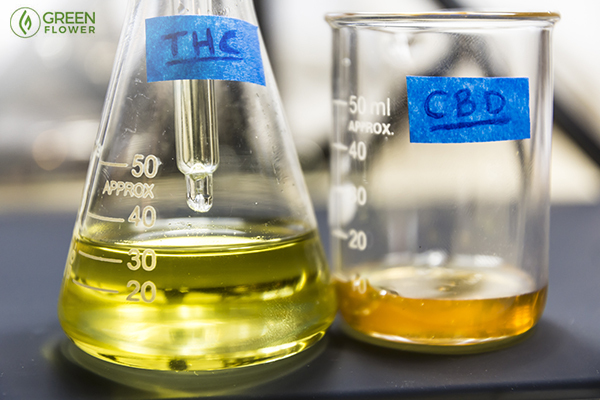 CBD and THC are just two of at least 113 cannabinoids found in the cannabis plant. In some instances, it may be best practice to use an isolated CBD over products that contain both THC and CBD. However, the theory of whole-plant medicine suggests that opting for full-plant extracts and flowers containing a wide variety of cannabis compounds is preferable to using just one compound alone. It’s now accepted that combining CBD and THC reduces the psychoactive side effects of the latter cannabinoid. CBD can also lessen the sedative and appetite-inducing effects of THC. This type of interaction between CBD and THC is known as the entourage effect. The entourage effect is the idea that various compounds in cannabis work together in harmony to produce more sophisticated effects. While CBD can reduce some of the anxiety and paranoia caused by THC, THC is expected to have greater potential as a muscle relaxant and sedative. Theoretically, combining the two would create a product with greater muscle relaxant capabilities yet reduced cognitive impairment. Indeed, one biopharmaceutical company has already created a successful multiple sclerosis drug, Sativex, that contains a one-to-one ratio of CBD and THC. In cancer research, combining THC and CBD has produced more successful results in preclinical research than either cannabinoid alone in some forms of cancer. In glioblastoma, a type of brain cancer, adding CBD to a high-THC treatment enhanced the anti-proliferative effects of THC in cell cultures. In breast cancer, CBD was more effective in animal models. Combining the two cannabinoids may also be useful in cancer symptom management. A 2013 study published in the Journal of Pain and Symptom Management compared the efficacy and safety profile of a THC/CBD spray and a THC-solo spray. While THC alone can be habit forming, patients given the combination THC and CBD spray medication did not seek to increase the dose and it was well-tolerated over a two-week-long study. Further evidence suggests that combining CBD and THC can improve the pain-fighting properties of the compounds. Both CBD and THC have value. Far more research is needed to identify when these cannabinoids are best to use in tandem and when it would be better to keep them separate. However, it is clear that the two molecules are an excellent match. Those hoping to give their CBD supplements an extra boost may want to consider adding in a little THC. Earn Your Certificate in Cannabis Fundamentals!